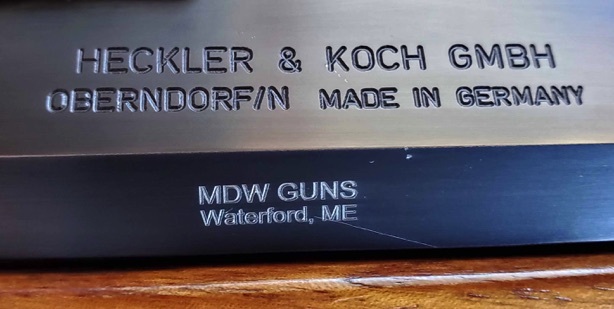 As a licensed Importer we are required by federal law to engrave our business name on every imported firearm. 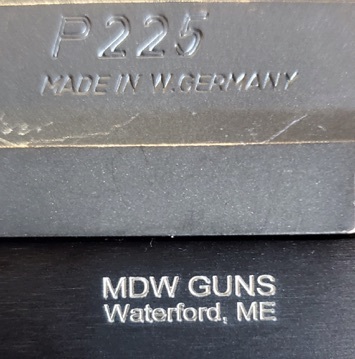 We usually engrave the import marks on the right slide of pistols and on the barrel of revolvers. If there is space under the dust cover, we engrave it there. 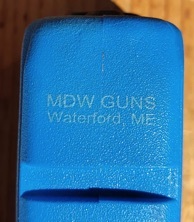 If the front strap of the pistol is plain and there is space, we place it there. 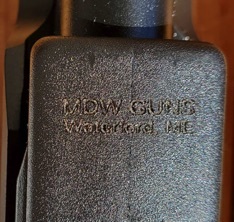 By ATF standards, the import mark has to be visible without dissembling the firearm. We made the jump to laser technology. Click here for a video. 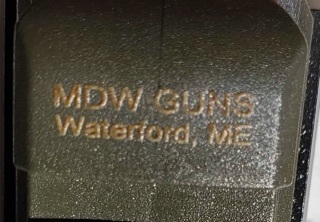 All new as of March 2019 imported firearms are marked with the laser as shown below. 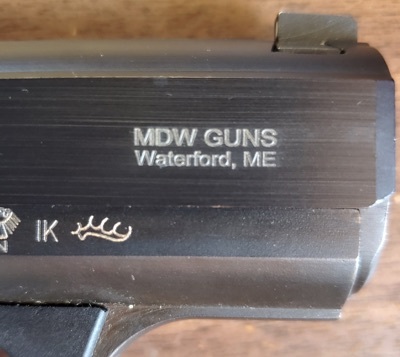 Firearms previous imported are still marked the old way.